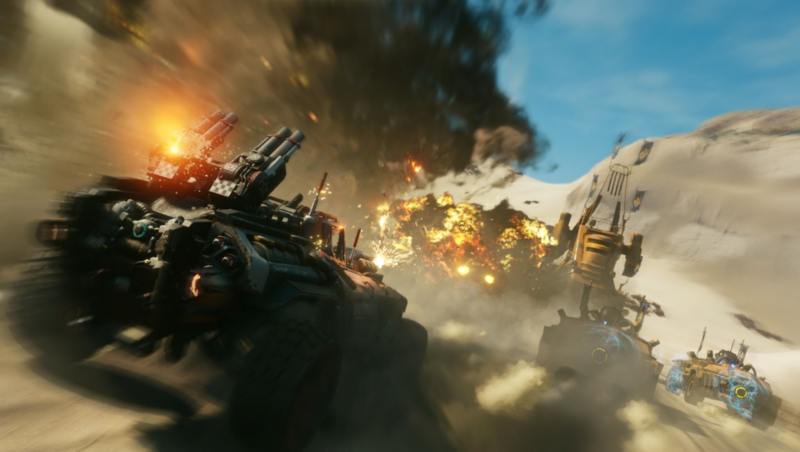 id Software’s open-world sequel to the seriously under appreciated RAGE, the imaginatively titled RAGE 2 is looking great in this brand new pre-beta footage. Showing off some sweet new weaponry and bit more of the open world, RAGE 2 is looking every bit as mad as ever. It looks like DOOM and Far Cry had a baby. A crazed, gun-toting baby that loves to blow things up and launch people off the edge of cliffs to a death that looks like Jackson Pollock painted it. RAGE 2 releases on May 14th for Xbox One, PlayStation 4 and PC.